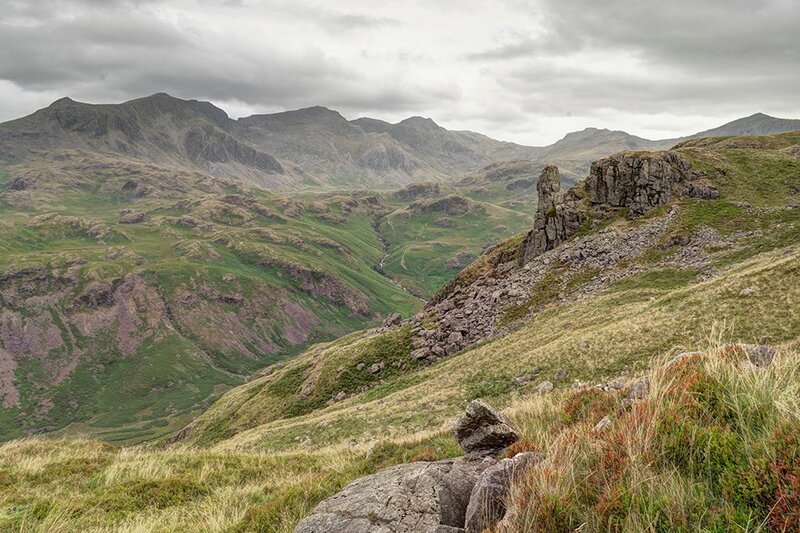 A good walk today with a photo-club friend around the summit of Hardknott Fell. The Fells in the distance are Scafell and Scafell Pike, plus a couple more. Beautiful scene, very nicely captured Graham. Lovely scene enhanced by the clouds. Another beautiful landscape, I so like those rocks formations. @gamelee @anniesue @busylady @phil_howcroft @777margo @stownsend @suzanne234 @happysnaps @4rky @joannakate @gardenfolk Thanks for commenting! This shot is one of three taken using the tripod and with different focal distances which were then blended in PS to make it 'in focus' throughout.